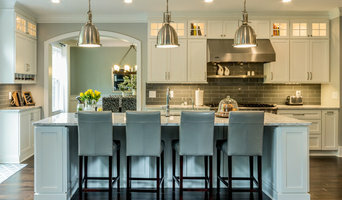 Oakland County Top Kitchen & Bath Designer Best of Houzz 2017! 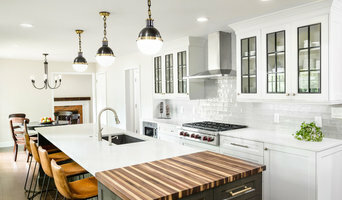 New Design Inc. was established in 2003 by Raymond Hennig and Richard Kowal to provide homeowners with a one-stop shopping experience for kitchens, baths, and countertops. 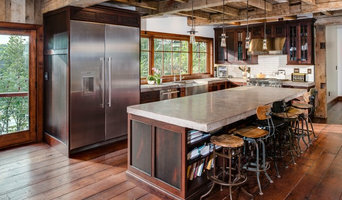 We found that, too often, homeowners would have to go to multiple companies and contractors to complete a single kitchen or bathroom project. Our goal is simple: We will provide our customers with the best selection of products available for the kitchen and bath and handle all the details, from the design process to managing the installation. After five years in business and having served over 1,000 customers, we had outgrown our first office / showroom and countertop fabrication shop. We purchased our new building and moved operations there in January 2008. The new facility has allowed us to consolidate our showroom, offices, warehouse, and countertop shop under one roof. Our new showroom, although not yet complete, boasts 2,000 square feet of the latest trends and styles from the best manufacturers in the kitchen and bath industry. This move, along with other adjustments to our company, allows us to provide a nearly seamless process for our customers. Our design specialist will meet with you at your home or in our showroom to discuss your ideas and assist you in the selection process. We will generate drawings of your project to help you visualize how your new kitchen or bath will look. Once we have a work order, our project management team will inspect the jobsite, order all materials, and schedule a time for our installers to do the work. 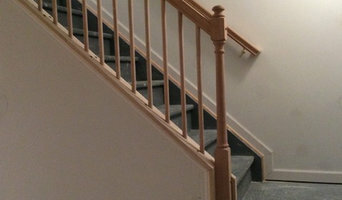 We will oversee all the details of the installation so you don't have to. We have a custom shop to modify anything needed on the jobsite and build any laminate tops needed for the project.